I know fall has not technically started, but this past weekend sure felt like fall! We had cool weather for the first time and it felt good to have jeans on again. Friday night we stayed in: we had chili for dinner and watched The Conspirator. Have you seen it? It's the story of the conspiracy behind President Lincoln's assassination, one that I never remember learning in history class. We both really liked it--and that's rare for us! Saturday we had tickets to box seats at the Clemson-Auburn game! We love college football so we were so excited! Our only dilemma was who to cheer for. We now live in an area saturated with Clemson fans, but we are VT alums so we can't just become Clemson fans because they're both in the ACC! In the end, I wore a plain orange shirt to proclaim my neutrality, and Caleb stuck with his VT shirt. I was happy that Clemson won. . . as long as we beat them in two weeks! Sunday we continued our search for a church and then were able to get a few things done around the house. I'm always sad when Sunday nights come around because I know Caleb has to go back to work the next day. love college football too - and amazing that clemson beat auburn. looks like an awesome weekend! Looks like you had an awesome weekend! We went out with our good friends to celebrate some birthdays and had so much fun! Sounds like a pretty great weekend to me! I know what you mean about the bittersweetness of Sunday nights...it's the same for me. Hope you have a wonderful week and good luck with the job search! Ahhh, I'm so jealous, I'd love to watch a game from a box suite! And my weekend was fabulous. I went to Lynchburg, and on Saturday I went apple picking with mom and dad and found some great treasures at an estate sales place. And on Sunday I got to chat with Ashley, Kathie, and your mom at church! I'm glad you recognize that you can't cheer for 2 ACC teams :) That's always my husband's pet peeve when people cheer for the two teams in the same conference. Glad you stuck to your guns! :) It was a perfect football weather weekend! looks like you guys had a great weekend!! Our week is good. We are currently looking for a new church too ( I think we may have found one, we'll see) So we enjoyed our Sunday. I wish I like football. I love everything that goes with it, but I get easily distracted everytime I try to watch a game haha. Jonathan and I watched The Conspirator a couple weeks ago and we both loved it! Sounds like a terrific weekend. We watched the "King's Speech"; which we both ended up liking more than we had expected. 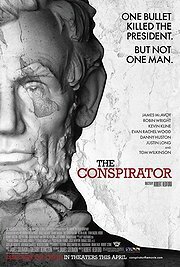 We'll have to check out "The Conspirator". Glad you had a fun weekend...we will have to try out that movie, we are always looking for something new to watch! how fun! it was a great game and y'all had great seats! Went to my first college football game to watch VT ironically and it was totally fun! Clemson games are so fun, I love that stadium, and the area, esp. during fall! But i'm a Penn State fan, Clemson comes second on my list!